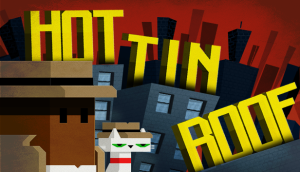 Glass Bottom Games‘s noir, mystery-solving metroidvania Hot Tin Roof: The Cat That Wore A Fedora is queer. Maybe it’s better to say that it queers: it takes the normative and twists it in the direction of the feminine, the feminist, the genderfluid, and the non-hetero. It’s a joyful celebration of subversion.